ከላይ በተጠቀሰው መሰረት፣ ላለፉት 27 ዓመታት በኢትዮጵያ ፖለቲካ ለረጅም ግዜ በስልጣን ላይ በመቆየታቸው ምክንያት በከፍተኛ የሞራል ዝቅጠት ውስጥ የወደቁት፣ በዚህም ሕግና ስርዓትን እንዲያስከብሩ የተሰጣቸውን ስልጣን ለሌብነትና የኮንትሮባንድ የሚያውሉት፣ እንዲሁም የዴሞክራሲያዊ መብትና ፍትሃዊ ተጠቃሚነት ጥያቄ የሚያነሱ ዜጎችን በወታደራዊ ጉልበት የሚያዳፍኑት፣ በዚህም ፍርሃትና ሽብር በመፍጠር ሕገ መንግስታዊ ስርዓቱን ለማስከበርና ስልጣናቸውን ለማራዘም ጥረት የሚያደርጉት ህወሓትና ህወሓቶች አይደሉምን? via ከሰሞኑ ግጭትና አለመረጋጋት በስተጀርባ የህወሓት እጅ አለበት! The Ethiopian government must immediately withdraw and disband the Liyu police unit of the Somali regional state, whose members are unlawfully killing people in neighbouring Oromia region, Amnesty International said today. The Ethiopian authorities must immediately demobilize the Liyu unit and replace them with police that abide by international human rights law. These rogue officers must not be allowed to brutalize people at will. 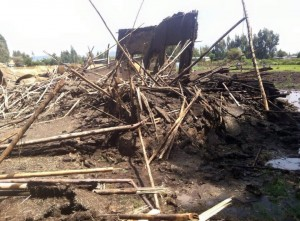 On 23 and 24 May the unit also attacked four neighborhoods in the Chinaksen district of East Oromia, killing five farmers and burning down around 50 homes. These attacks caused residents to flee their homes looking for safety. The authorities must put an end to what appears to be state-sanctioned violence. The first step is to ensure all policing in Oromia is respectful of human rights. The TPLF/EPRDF government has orchestrated genocide against the Oromo people with the help of TPLF’s Janjaweed, the Somali para-commando known as the “Liyu Police”. Even the ruling party admitted to that. Then why is the world community silent and allowed the regime to commit genocide after genocide against the peoples in Ethiopia? Are they afraid that declaring such will collapse the TPLF/EPRDF government and that in turn will bring chaos to the country like that of South Sudan? America is once again knowingly or unknowingly failing to stop genocide in Ethiopia. The alternative to America’s inaction is even much costly in human lives and stability of the Horn of Africa. Whether they like it or not, it is paramount to address and redress the Oromo quest for self-determination to bring peace and stability in the region. TPLF spokpersons and representatives always represented the Oromo killings and genocide in simplistic terms as ethnic/border conflicts whereas the truth is they are the instigators. Under normal circumstances, governments spin and twist facts to fit their narratives. Medias and observers seek facts and correct spins toward justice. In the Oromo case, the TPLF government spins and the West accepts that as facts and spread it further and provides financial and military supports. “Genocide is the deliberate and systematic extermination of a national, racial, political, or cultural group”. The violence in Oromia meets the criteria of genocide because it is racially based. The Liyu Police that TPLF generals trained, armed and advised from Somali ethnic group massacred, burned houses, confiscated properties, and displaced more than 700,000 Oromos from their homes in an ethnic cleansing. The West has spoken for much less scale of displacement and massacre as genocide. The Oromos should not expect Colin Powel of South Sudan to rise for them or actor George Cooney to speak up on behalf of Oromos. They have only themselves and heroes like athlete Feyisa Lelisa and artist Hachalu Megersa amongst us who are willing to risk everything and speak up heroes. If the Oromo activism we see today had started five years ago, it would have matured, crystalized and would have made a larger impact today. But we are where we are and the time is short. Without any more delay the Oromo activists put aside their difference must come together and have a unified voice to speak up for their brothers and sisters in peril. The Oromo people had had enough and are rising up in Unisom from all corners of Oromia. From East Oromia to West Oromia, from South Oromia to North Oromia to central Oromia to change this rotten system and replace it with a bright, tolerant, and democratic system. The OPDO seems to have discovered its voice and forced by people’s fundamental human rights question started to challenge the TPLF supremacy. We should all applaud for the courage they have shown us so far and at the same time make it clear to them that the relative support they are getting from their people is not here to stay if they don’t continue to stand up for the people and stop the genocide against their people, stop the exploitation of Oromia to build and rebuild Tigray, and restore the fundamental rights of the Oromo people: the right to self-determination. The usual TPLF machination is not acceptable. Any cosmetics changes are not acceptable to the Oromo people. Expelling and courting few corrupted TPLF members in the name of reform is not acceptable. The acceptable outcome is a total and complete accountability for each and every innocent life taken away under their command, complete and total surrender of Oromia to the Oromo people. 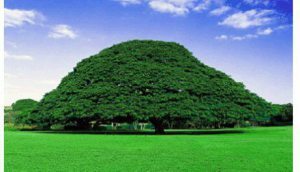 Any short-hand settlement with the TPLF group will not solve the problem except exposes the inferiority of OPDO to the minority Tigray group with super-size power over the Federal government. It will ignite intensified resistance to the regime and OPDO. The rank-and-file of OPDO who witnessed the horror against their people closely are echoing the Oromo people’s question. Lemma and his young team of leaders have only one choice, to stand with their people to the end. Capitulating to this group with the push of the old guards that spoiled TPLF brats and got them to where they are today is a gigantic mistake of historical proportion. Prime Minster H/Mariam Desalegne is incompetent and no more viable to lead the federal government and must resign from his post immediately. He failed the Oromo people when he intentionally chose to ignore the genocide against them and choose to speak selectively on the wrongful death of 31 Somali. The Parliament appoints a new prime minster with its full power. Every non-Oromo TPLF/Agazi army should leave Oromia and the internal security must be left to the Oromia police. The Oromo members of the army are organized under the command of Oromo generals. Agazi and its TPLF generals led genocide against the Oromo people. Immediate resettlement of the more than 700,000 Oromos displaced by the “Liyu Police”. Oromia state government must form an independent commission to investigate and bring to justice the people responsible for the Irreechaa Massacre, the Cheelenko Massacre, and TPLF’s Janjaweed, the Liyu Police. All illegally appropriated lands in the name of investment back to the people. The Oromia state must take charge of all prisons in Oromia. No Oromo should go to prison outside Oromia. Any machination and hand twisting will only expose the true power of OPDO as a representative of the largest people in the country and consolidates the struggle in one and only one direction. The independence of Oromia! ONLF and OLF Holds the Ethiopian government and its ruling Coalition Parties as solely responsible for the mass killings of Oromo and Somali peoples. The Ethiopian government has been systematically instigating conflict between and within nations in Ethiopia to divert the attention of the stakeholders from its failing rule for the last two years. Although, the Ethiopian government has continually employed divide-and-rule tactics across the country by systematically instigating and promoting civil war among the nations; such war is specifically orchestrated between the Ogaden Somali and the Oromo nations, under the stage management of both Federal government security apparatus, and agents of both regional states. Ethiopian regime is left to succeed, such a war inevitably will cost millions of lives with dire consequences for both communities and the communities of wider Horn of Africa. Cognizant of the fact that, the unfolding tragedies are meticulously masterminded and implemented under the leadership of the regime with the objective of staying in power, employing divide and rule methods as means of governance; the ONLF and OLF holds the Ethiopian regime and the ruling EPRDF party as solely responsible for the crimes committed against both peoples and the wider peoples of Ethiopia. Therefore, we urge the regime to unconditionally and immediately stop such criminal practices. Furthermore, both fronts request the AU, EU the UN and the international community to urgently start an independent international investigation into the unfolding tragic and continuous massacres of civilians in both sides; that is to date worsening in the entire Somali-Oromia borders including, the other parts of Ethiopia; to be able to bring those responsible for such abhorring crimes to an international tribunal. The OLF and ONLF call upon the Somali and Oromo people, to stop being used as agents of EPRDF regime to aide it to commit crimes against each other. ONLF and OLF further call upon the traditional elders, civil society, religious leaders, political organisations and intellectuals of both communities to come together and fight this menace against the wellbeing of both nations. ONLF and OLF also call upon all organisations, civil societies and communities in Ethiopia to condemn the current barbarous acts and desist from talking part in it. OLF and ONLF also call upon media sources to both locally and internationally to expose this heinous crime and avoid fanning the conflict further and report responsibly. The Oromo, Somalis and the other nations of the Horn of Africa will always remain neighbours; hence those who want to destroy the centuries old fraternal relationships between all communities in the Horn of Africa and Ethiopia are doomed to fail. Finally, instigating ghastly killings and decapitation of the Civilians in Ogaden Somali and Oromia will never compromise our fraternity and never deviate us from our struggle for Freedom and Self-Determination. It has now been more than a year since the Ethiopian government, controlled by the Tigrai People Liberation Front (TPLF), clearly and openly declared a war on Oromo people. In addition, the TPLF government has also promoted conflict between the Oromo people and its neighbors, which have lived together in peace, love and mutual respect for decades. This TPLF orchestrated conflicts has caused a huge crisis on the life, property and overall wellbeing of hundreds-of-thousandth of Oromo people. In fact, the Ethiopian military generals and leaders have planned, trained and deployed the Somali special forces (aka Liyu Police) to carry-out the killings of the Oromo people and destruction of their homes. As a result of this war, hundredthof-thousandth of Oromos were either killed, wounded, their homes and properties were completely destroyed or displaced. While these all heinous acts have been taking place on Oromo farmers, the TPLF government has never had any saying. The war currently declared on the Oromo people by TPLF and the Somali regional government is a well-researched and planned war for a long time. To make sure that their plans are being executed, first, they disarmed the Oromo farmers and made them defenseless. After they disarmed the Oromo farmers, TPLF ordered their well-trained and armed Liyu police to carry-out the killings, including kids and women, destroying their homes and confiscating their properties. distance of over 1000km. Not only OLF exposed TPLF’s plan, it has also warned those who were playing political games to stop their evil act before it resulted in such a tremendous crisis. We have also pre-informed the secret plan of TPLF to the world community as well as to the Ethiopian people. The main purpose of TPLF’s current war is to weaken the Oromo, stop the Oromo Youth-led movement for freedom and overall the Oromo people’s struggle for Freedom and justice. In addition, this is a strategy to divert the real demand of the people and maintain their power and continue their exploitation. 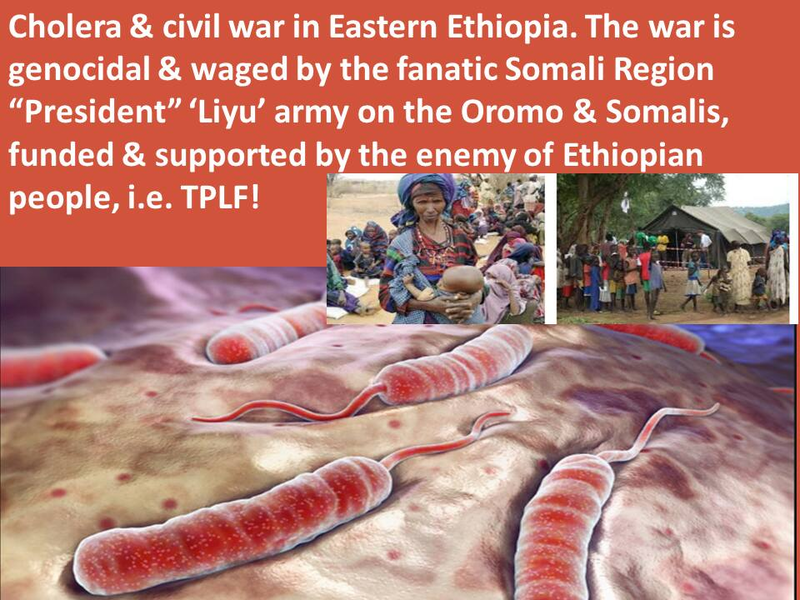 Therefore, TPLF and their agents are the main actors of these conflicts. Nonetheless, TPLF’s strategy of promoting conflict between the regions will neither bring a shortterm nor a long-term peace to the country as well as to the region. While conflicts were taking place in the Eastern, South Eastern and Southern Oromia for over a year, the Ethiopian government has never taken any action to resolve the issue. Contrary to this, TPLF government has trained, armed and deployed the Somali region special forces to perpetrate havoc on the Oromo farmers along the border. Though the Oromo People living along the border have requested the government to secure their peace and defend them against the perpetrators, the Ethiopian government instead continues to support Liyu police with military equipment as well as logistics. 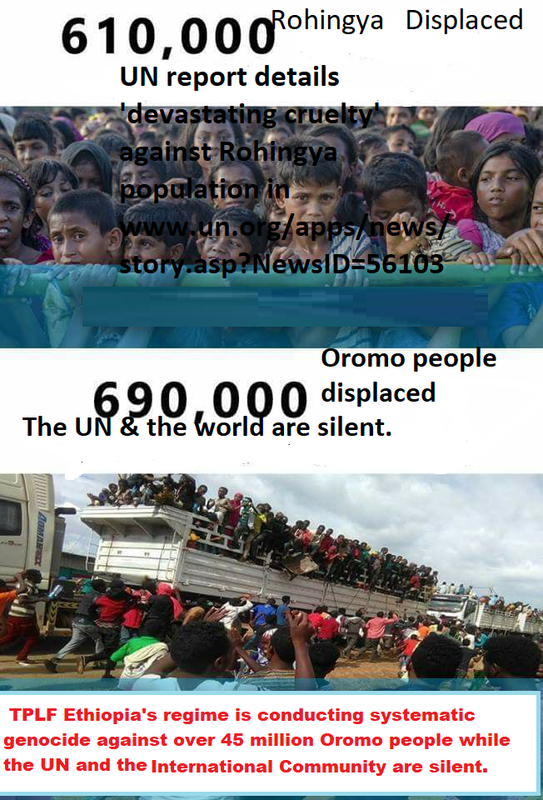 As a result, over 700,000 Oromos were displaced from their lands and their homes were burned down. The Ethiopian government did not offer any support to these displaced people. Perhaps, the burden was left to the Oromo people themselves. Similarly, when many Oromo were massacred at Calanqo, Daaroo Labuu at a place called Hawwii Guddinaa and in many more places, we haven’t heard any press release or any condemnation of the perpetrators from the Ethiopian government, further confirming that the life of the Oromo people worth nothing for the Ethiopian government. Contrary to these war crimes taking place on Oromo people, we have observed when the Ethiopian prime minister, Hailemariya Dessalegn in his December 17, 2017 press statement, trying to make the Oromo people accountable for the crimes that their military force and Liyu police have done. The Prime minister’s attempt to blame the victims here instead of the killer, Liyu police and military forces, is rather disgraceful. The prime minister would have asked himself, before reading his shameful statement, questions such as who started this war? Where was the war started and why? and try to get the answers. As head of a state, the prime minister should have rather admitted the crisis and assure the people that the perpetrators will be brought to justice. At the same time, he should have also assured the Oromo people that his government will maintain their peace. But the prime minister’s statement was completely the opposite, trying hard to make the Oromo people accountable for the heinous crime done by the Liyu Police. Such Ethiopian government’s betrayal of the Oromo people has been observed on multiple occasions and thus, we should expect neither any justice nor any support from the Ethiopian government. Therefore; The Oromo people must understand that it is their right to defend themselves from the war currently declared on them from multiple fronts by TPLF government and its agents. While admiring the generous support that the Oromo mass was giving to its fellow citizens, OLF wants to stress that there is no one for Oromo other than Oromo and nothing is more evident for this than what is currently happening in Oromia. Therefore, such support for our people must be strengthened and continue. OLF also call upon all Oromo in diaspora to feel the pains and the crisis that the Oromo people are going through in Oromia and work hard to expose the evil acts of TPLF to the international community, and also continue to support our people. It is equally important to make sure that the support that you contribute is in fact reaches the people in need. The Oromo people and the Somali people have lived together for so long without any issues. However, now the Liyu police and the TPLFgovernment are orchestrating a conflict between these people. We want to renew our call to our brotherly Somali people to let work together to thwart the TPLF’s evil plan. Lastly, trying to blame the Oromo people, victims of the Liyu police, instead of the perpetrators will never solve the problems. Furthermore, the heinous killings and displacement taking place on Oromo people will not stop by simply blaming on the so-called corruption and illegal trading (contraband) that is taking place in the country. These excuses will never let the Ethiopian government be free from accountability. OLF strongly condemns those who are involved in planning, organizing, and commanding the military and Liyu police forces to open war on Oromo people, those who involved in the killings and displacement of peaceful Oromo and the Somali people. In addition, the international community should know that ethnic cleaning is taking place in Oromia by the Ethiopian government and its surrogate Somali National government. Keeping silent, in another term, is giving a license for the Ethiopian government to continue killing and displacement of the Oromo people. Thus, OLF call upon the international community to immediately take appropriate action to stop the ethnic cleaning, establish independent enquiry to the killings and attacks that is taking place right now in Oromia-Ethiopia before it is too late. At least 61 people Ethiopian Somalis and Oromos were killed in the latest spate of violence in eastern Ethiopia, Oromia regional state. More than 800 houses were also burned and 14, 000 people were internally displaced. In the previous week sixteen civilians were killed by the federal army in Chelenko, eastern Hararghe zone of the Oromia regional state in eastern Ethiopia, bringing the death toll higher. Residents of Nekemte, western Ethiopia, staging peaceful protest against the Killing in Chelenko last week. Teaching learning processes in many universities have been disrupted following ethnic clashes in universities located in Oromia, Amhara and Tigrai regional states in which at least a dozen students were killed. Some universities are gearing up to open while other remain closed. According to a local newspaper, Ethiopian ruling party dominated members of parliament have requested PM Hailemariam Desalegn to appear in parliament to give explanations on current pressing issues related to ethnic based violence & growing political crisis. Representatives of OPDO & ANDM, the two parties representing Oromia and Amhara regional states and are members of the ruling EPRDF were at the forefront of the request, according to the report. “The setting up by Ethiopian Prime Minister Hailemariam Desalegne of a task force to investigate the most recent killings is a welcome step. All sides, including regional and federal police forces, should show restraint to ensure full protection and safety of all citizens,” the EU said in the statement. Posted by OromianEconomist in Horn of Africa Affairs, Uncategorized. 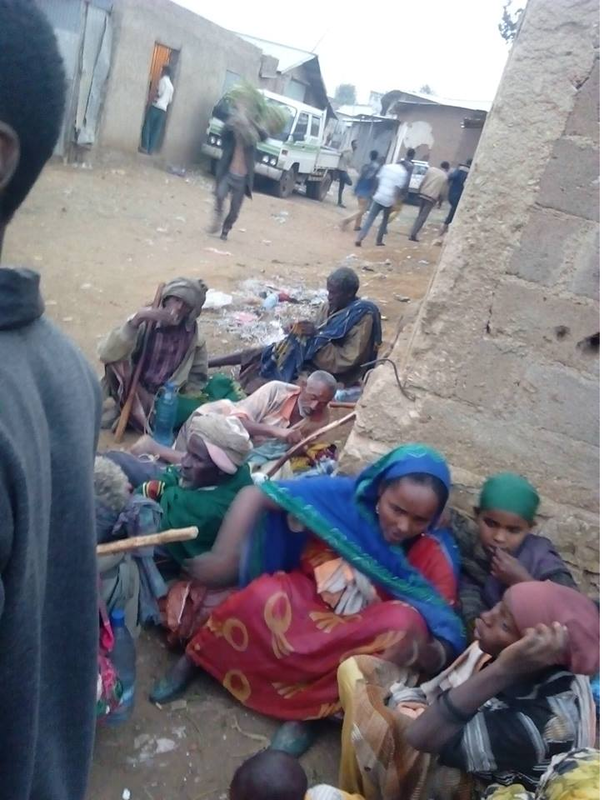 The Liyyu Police aggression in Eastern and South Eastern Oromia has caused the death of hundreds and the displacement of tens, if not hundreds, of thousands. Needless to say, it has immensely exacerbated the already fragile conditions of human security in the region. Human suffering is piling. The actual impact of the aggression is yet to be accounted for. The real story of the conflict is yet to be told. To date, the aggression has been (mis)conceived by many as an ethnic conflict, a border dispute, a counter-insurgency measure, etc. In part, this is because of the deliberate mischarachterization of the aggression by TPLF as a conflict between ethnic Somalis and ethnic Oromos. In this piece, I consider the question of how to make sense of this phenomenon. In so doing, I shall try to explore what Abdi Ile’s war is and what it is not. I will also explore the actors and interests involved, the motivations behind their involvement, what challenges there are to solve the problem, and what needs to be done as we look ahead. Contrary to what apologists of TPLF say, the atrocities perpetrated by the Liyyu Police are NOT about ethnic conflict. Nor are they about a border conflict. Granted, there have always been low key conflicts among pastoralists living in the border areas. Often, these conflicts are over shared water wells or grazing land. When these occur, elders from both sides of the border (usually the Gurtii from the neighbouring Somali villages and the Abba Gadaas from the neighbouring Oromia villages) settle the disputes in accordance with the traditional laws (known also as Xeer in the Somali region and Seera Aadaa Oromoo in Oromia) of the two groups. As numerous studies by anthropologists and other social scientists routinely show, such conflicts over shared resources do occur frequently and seasonally, especially in times when drought affects one or the other, or both, sides of the borders. They are never perceived and performed as border conflicts between Oromia and Somali regions. They never involved regional (and federal) forces with heavily mechanized military facilities. Security forces of the formal sector appear on the scene only when the conflict escalates beyond the capacity of the elders and the local security actors (Peace Committees, local militias, district police, and other law-enforcement agents including the social and district courts). There has never been a time when a mechanized military formation invades local towns; perpetrates unspeakable atrocities on residents (including arbitrary executions, rapes of women and children, forced disappearances, eviction of residents, looting and vandalzing offices of local administration, etc); hoists the Somali region’s flag in the place of Oromia flags in Oromo towns; issues new Somali identity cards; etc. There has never been a time when a paramilitary force brutalized civilian local population claiming that the territory belongs to the Somali, and not to the Oromia, region. Granted, the inter-state borders in the Ethiopian federation are porous. And that is as it should be. Granted, given most of the borders are drawn top-down (often without any consultation of the consent of the local populations), there are spots where peoples’ settlement pattern do not fit the political map of the regions. There are thus demands for reassignment of people into regions that they have been cut off at the moment of forming the regional self-governments (as per Proclamation No 7/1992) and later sates (as per the provisions of the 1995 constitution). The fact that the boundaries are not properly delineated at the time the states were constitutionally recognized as such made inter-state and inter-ethnic borders open to adjustments through ad hoc political negotiations and/or decisions, constitutional litigations, and/or referendum. There have been areas between the Somali and Oromia regions where such border-related issues were variably politically negotiated, constitutionally adjudicated, and popularly decided through referenda (in 2004). However, none of these areas were raised even as a pretext for the current Liyyu Police aggression in East and West Hararghe Zones, in Baale Zone, in Gujii Zone, and in Borana Zone. The only towns at issue in the referendum were Mi’essoo (in Hararghe Zone) and Moyyaale (Borana Zone). None of these warranted such a vast aggression that, in time, led to the murder of hundreds of peoples and the displacement of hundreds of thousands of peoples. Apologists of the TPLF regime in Addis Ababa often invoke the Ethio-Somali war of 1977 to revive a remembered sentiment widely held among the habesha public that there is a covert measure orchestrated by ONLF to satisfy the irredentist dream to secede from Ethiopia and form ‘Greater Somalia’. Given Somalia itself is a failed state whose future is yet uncharted at this point in time; given Somaliland is a quasi-sovereign state waiting to be recognized by the international community; and given the ONLF is denied a space by years of brutal attack by the Ethiopian military and Abdi Ile’s Liyyu Police (especially since 2007/8); any casual observer of the region knows that the Liyyu Police aggression on Oromia has NNOTHING to do with the urge to suppress irredentist movements. Nor does it have any semblance to the ethio-Somalian war of 1977. That it is NOT a war conducted to form ‘Greater Somalia’ (the propaganda in some circles aside) cannot be overstressed. TPLF seeks to portray this as a counter-insurgency war against the Oromo Liberation Front (OLF) and Ogaden National Liberation Front (ONLF), operating in the area. It is NOT! It was a memory of a short time ago that Prime Minister Hailemariam and the then spokesperson of the Ethiopian government, Getachew Redda, asserted that “the OLF is dead and buried in Oromia.” These phantoms of OLF and ONLF as ‘terrorist organizations’ are deliberately ‘produced’ at will in order to justify the state violence in the areas. It should also be clear that, contrary to the TPLF propaganda otherwise, this is NOT a counter-terrorist war. If it is a counter-terrorist war, according to law, it is not a regional force that is supposed to act unilaterally to wage war on another region. As per the counter terrorism law and the general principle that terrorism is a matter of national concern, combatting terrorism is primarily the responsibility of Federal Security Forces (Federal Police, Federal Army, and the Federal Intelligence, alias National Security, office). If, as we have seen above, the violence is not about inter-ethnic rivalry, border disputes, suppressing irredentism, counter-insurgency, counter-terrorism, combatting extremism, etc), what then is it about? How should we understand what the conflict is about? First and foremost, one needs to understand the Liyyu Police aggression in juxtaposition with the ongoing Oromo revolution and the political dynamics emerging in Oromia. Pressed by a survival instinct, the ‘ruling party’ in Oromia, OPDO, has started to make a few symbolic concessions (albeit feeble ones at that) to some demands of the Oromo Revolution. Whether OPDO is doing this as a strategy of co-opting the revolution to calm down the region for TPLF rule, or as a populist alignment of interests with the revolution so that they can have a better bargaining capacity vis-à-vis TPLF, or out of a genuine interest to see the just demands of the Oromo be heard and vindicated is rather dubious. Spearheaded by the Qeerroo Oromiyaa, the Oromo Revolution had demanded, inter alia, autonomy from TPLF in administering the region; more self-rule in the federation and better representation in the country (shared rule), protection from eviction from one’s own land, evacuation of the Agazi from Oromia, withdrawal of the infamous Master Plan, greater representation (cultural, socio-economic, and political) in Finfinnee, implementation of constitutional ‘Special Interest’ (I Article 49(5), land justice for the displaced, linguistic justice for Afaan Oromoo (the demand to make Afaan Oromoo a co-equal working language of the Federal Government), accountability of the federal forces for the Irreechaa Massacre of 2016 and the over 1000 killings since October 2015, release of all political prisoners, etc. These demands were all made manifest peacefully in demonstrations, boycotts, strikes, and other forms of civil resistance. Very soon, OPDO’s gesture of wanting to address these demands, albeit reluctantly, and its gaining a hearing among some sectors of the Oromo public, started sending shockwaves to the TPLF’s leaders and a measure of tremors in the TPLF patchwork of coalition called EPRDF. The populist rhetoric of the new team of OPDO leaders (of the relatively more visible Lammaa Magarsaa, Dr Abiy Ahmed, and Addisu A Kitessa) started to unsettle the TPLF officials. The gestures towards economic empowerment of the Oromo youth through a program they called ‘The Economic Revolution’ agitated TPLF’s special interest groups (whose largely illicit business empire is based in Oromia). In this new OPDO, the TPLF saw more a threat than an ally who rules Oromia for TPLF. If the Oromo Revolution has to be crushed or tamed somehow, then this OPDO team must be sabotaged, distracted, or removed altogether. Abdi Ile’s war on Oromia, aimed as it was at achieving these goals easily, was TPLF’s response to the threat the Oromo demands posed against their interest in Oromia. The Liyyu Police aggression should thus be characterized as nothing but a counter-protest war on Oromia. In addition to deflecting the questions being asked, the war is planned as a vengeful act of destabilizing and eventually dismembering Oromia. The TPLF’s portrayal of this as an ethnic clash between Oromos and Somalis was a deliberate act of mischaracterizing and hyping the conflict so that TPLF comes intervene in the name of ensuring peace and security in Oromia (thereby authorizing itself to remove the administration, and decide unilaterally on the boundaries and reconfigure the standing of Oromia as a constituent unit in the Federation in such a way that it benefits the economic and political power of TPLF and embedded Tigrayan elite). 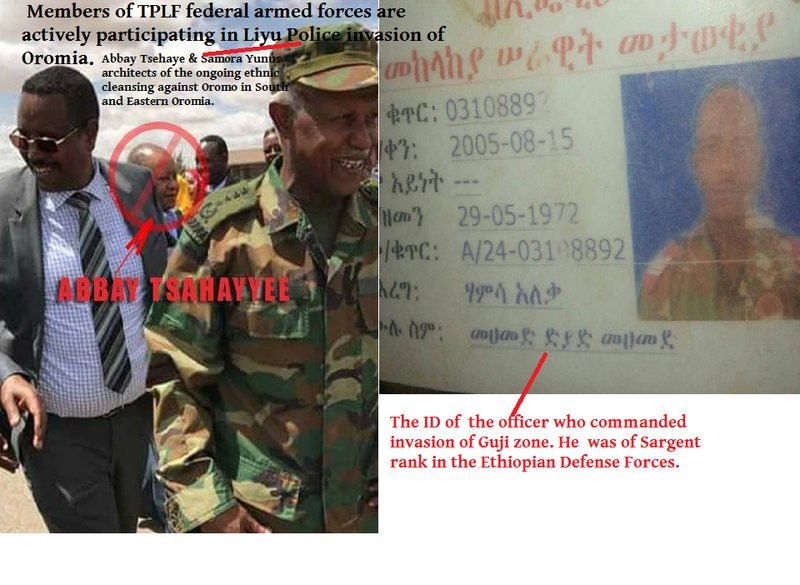 The war conducted by Liyyu Police is TPLF’s usual act of trading in fear and terror. As the major conflict entrepreneur in the Horn of Africa in the last several decades, TPLF has made it a habit to contrive sub-national conflicts and manipulate them to its advantages. It instigates, or directly enacts, violence and creates a narrative that entrenches hostility and mistrust among groups. When the conflict escalates, it acts as a peace-maker and entrenches its presence as a peace keeper. In this way, it circulates hostilities intermittently and manipulates the groups to view each other as permanent enemies. This rule through fabrication of conflicts is TPLF’s mode of operation as the party that has captured the state that literally embodies the rule of violence. The inaugural violence encoded into the body politic known as the modern Ethiopian state continues to simmer and boil. The State is still saddled with political contradictions that it never found a resolution for. TPLF’s rule, instead of finding the much needed resolution, conserves the contradictions and cashes them out as needed to play groups against each other. For TPLF, war is—and has always been–a way of doing politics. This war by Abdi Ile now is TPLF’s way of repressing dissident politics through war. One can even go further to say that it is TPLF’s governance style to fabricate contrived, often low key, conflicts as a way of galvanizing (international) legitimacy as a peace-maker. More concretely, we need to remember that Abdi Ile’s war is TPLF’s method of destabilizing the Oromia regional government in order to undermine its efforts to check contraband trade trafficking in weapons and small arms, illegal export of commodities such as caat, food items, sugar, etc to neighboring countries and importing various other commodities therefrom. Owing to the heavy investment of TPLF’s economic elite in the region’s illicit trade and trafficking, this can as well be characterized as a war of special interest groups against accountability. The people with these ‘special interests’ are linked to, or are themselves, senior political, intelligence, and military officials. As such, it is also a war of lawlessness against incipient forces of legality. That is why even the OPDO repeatedly invokes legality, respect for the constitution, and justice as a justification and a vindicating ground in its power struggle with the ‘gentry’ in TPLF’s business, political, and military complex. To the extent that it is also a war against OPDO, as Abdi Iley makes it look like, the war may be the first signs of a ‘house divided against itself’. It may be the beginning of the end of TPLF and EPRDF as we knew it so far. From statements by the regime’s propaganda machine (online and offline), TPLF now has developed a distaste for federalism pluralism, and democracy (even as a rhetorical tool). Federalism checks its unbridled power in the regions. The TPLF media machine flirts with the rhetoric of national unity and territorial integrity as more paramount than federalism. The recognition of diversity and the rhetoric of plural (almost consociational) democracy is seen as an obstacle to ‘unipolar rule’ by TPLF as a hegemon. Seen in this light, Abdi Ile’s war is a war against federalism and the plural democracy it promises in the light of popular demand for democratic self-expression at the regional level. In the remaining sections, I will explore the actors involved, their interests, and their motivations in greater detail. I will also reflect on what needs to be done to resolve the problem and submit some ‘modest proposals’ for the ‘way forward….. ANALYSIS: RISING DEATH TOLL, DISPLACEMENT AND PROTESTS IN EAST, SOUTH AND SOUTH EAST ETHIOPIA. WHAT LIES BENEATH? “List of TPLF Military and Intelligence officers involved in planning and commanding the Somali region Liyu Police mercenary paramilitary!! * The Liyu Police and Somali region militia are organized in 26 regiment each consisting up to 500 personnel. 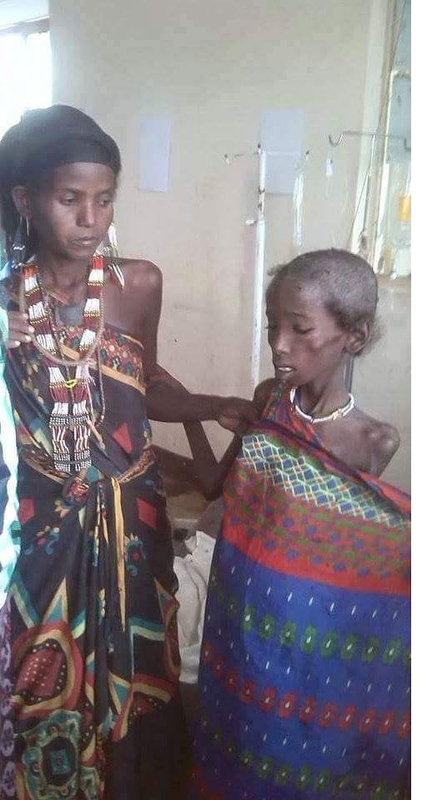 Posted by OromianEconomist in Ethiopia's Colonizing Structure and the Development Problems of People of Oromia, Famine in Ethiopia, Malnutrition, Micronutrient deficiency in Oromia, The State of Food Insecurity in Ethiopia. 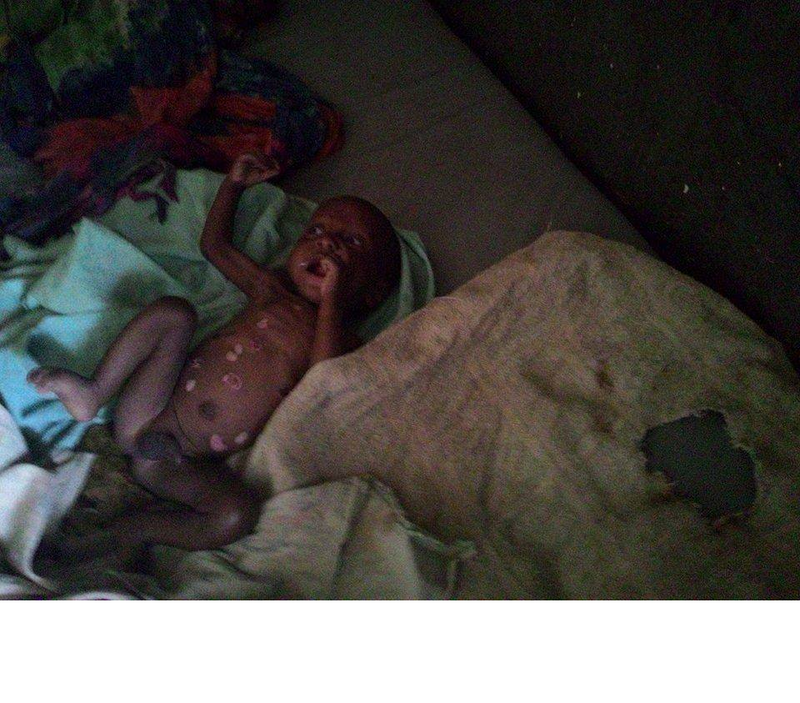 Due to lack of rain, food crisis and famine people are dying in Ethiopia. Mainstream medias are not reporting. In the absence of free press, the TPLF/ Ethiopian government is hiding the tragedy going on. 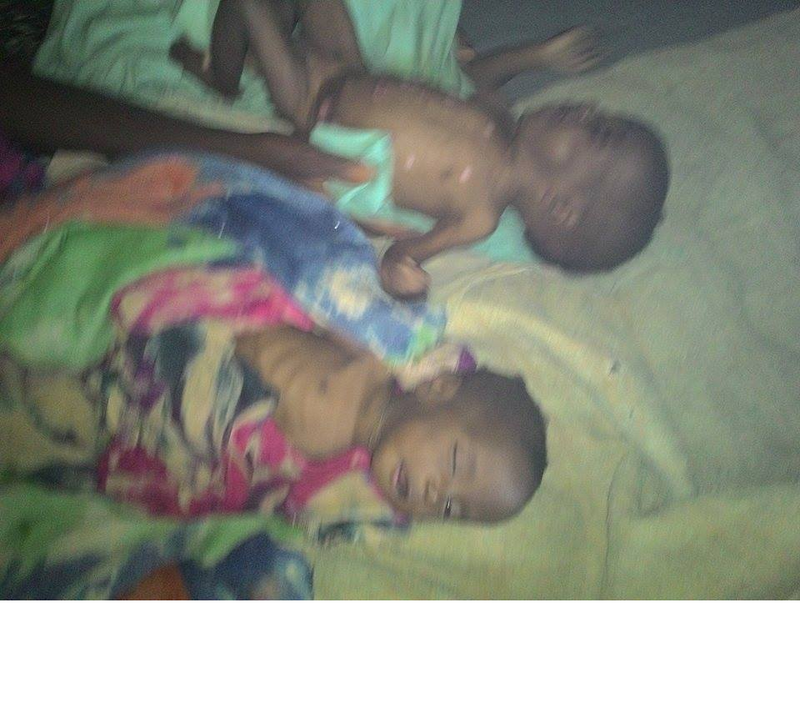 Children, women and men are dying in rural areas of Eastern and Southern Oromia, Afar state, Ogaden and southern nations. Animals are being perished due to persistent drought. 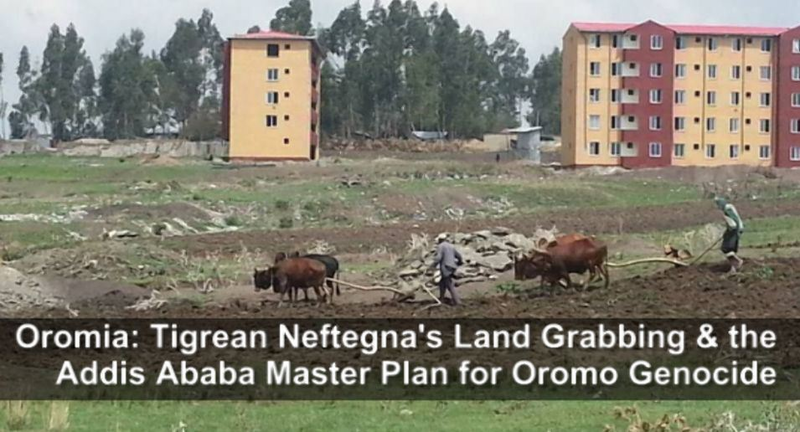 The TPLF/Ethiopian government has also engaged in intensive land grabs and evictions in unaffected (food surplus) areas and intensified the destructions of food security system. In central Oromia (Burrayyuu, Sululta, Bishoftu, etc) and Western Oromia (Ilu Abbaa boraa and Wallaggaa) families in thousands become homeless and destitute because of land grabs both in urban and rural areas. Citizens are reporting the crisis and crying for help and no help is received yet both from the government and international humanitarian aid. Social media and Oromia Media network are reporting in Afaan Oromoo. Aug. 5: Hunger is once again threatening vast swathes of Africa because of drought and high food prices. The United Nations has estimated that 14 million are at risk and at the heart of the looming catastrophe is Ethiopia, where over 10 million are in need of emergency food aid. ITN’s Martin Geissler reports. Is this famine Ethiopia or fastest economic growth? Beela moo misooma? Posted by OromianEconomist in Africa, Ethiopia's Colonizing Structure and the Development Problems of People of Oromia, Ethnic Cleansing, Janjaweed Style Liyu Police of Ethiopia, Land and Water Grabs in Oromia, Land Grabs in Oromia, Oromo the Largest Nation of Africa. Human Rights violations and Genocide against the Oromo people in Ethiopia, The Colonizing Structure & The Development Problems of Oromia, The Mass Massacre & Imprisonment of ORA Orphans, The Tyranny of TPLF Ethiopia.